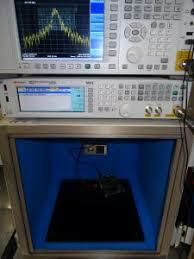 Cascoda has labs capable of PCB comprehensive RF test, Thread testing, pro-typing and rework. We use these labs to test our devices, and help customers integrate our devices into their application. Cascoda has state of the art test equipment from Keysight, including an EXG N5172B Vector Signal Generator and an N9020A MXA Signal Analyser. The image to the left shows a prototype Creator Ci40 under test in an anechoic test chamber.